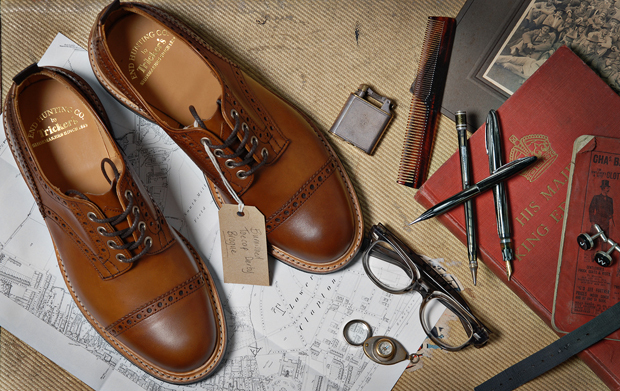 Tricker’s team up with Newcastle’s End Hunting Co. for a third time, bringing a new rendition of the Gibson Derby shoe and boot to the table. 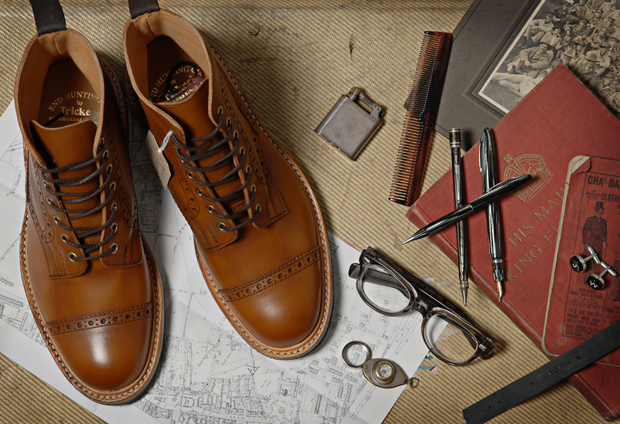 This is actually the first pair in the series to come from the End Hunting Co. design team, taking a classic Gibson derby with a brogue trimmed toe cap and putting it out in both show and boot form. 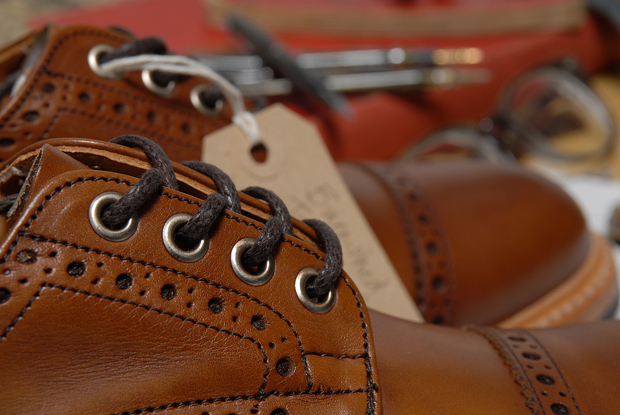 The shoe is made on a 4444 last and sits on a black dainite sole unit, where as the boot features a 4497S last, which is rarely seen from the Tricker’s camp. 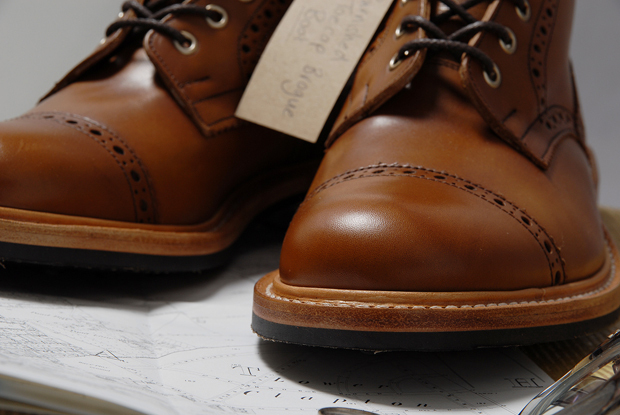 The pattern for the boot has been taken from the Tricker’s Stow and also sits atop a dainite sole. 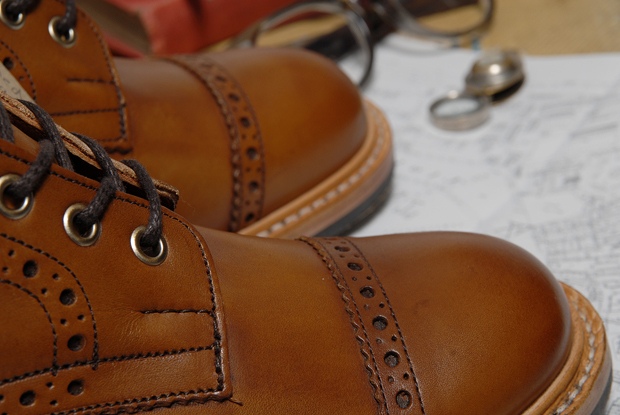 Both pieces of footwear have been made from a luxurious burnished brown leather that just oozes class. 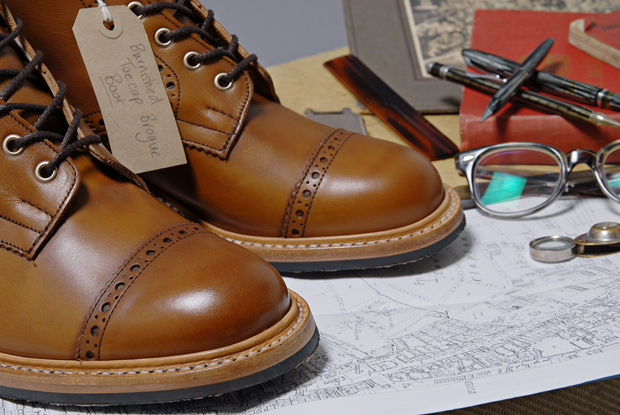 Managing to give the wearer both classic countryside styling and city elegance, this drop is yet another sterling example of great minds meeting and creating great product. I’m a huge fan of the elegant simplicity of these two items; both are understated but hold strong character through the use of brogueing and the signature End Hunting Co. heel tab addition. Both pairs are available now from End Clothing for £340 and £355 respectively.